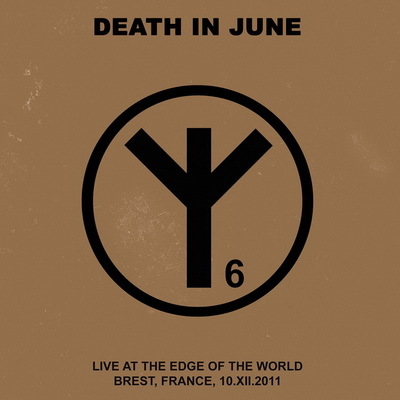 DEATH IN JUNE - "LIVE AT THE EDGE OF THE WORLD" Reissue --- Originally released in January 2013 and quickly sold out, this recording from the 10th December 2011 concert in Brest is finally re-released in two diﬀerent editions. --- 2*12” LP (Light Grey Vinyl) - 300 copies Double LP in a gatefold cover and with light grey vinyl (while the first release was on darker grey vinyl). It contains the same tracklist as the original release and slightly reworked artwork, but comes without any insert. --- CD+7” EP - 500 copies And for the first time on CD, presented in a 7” gatefold cover with a bonus blue/grey 7” vinyl. 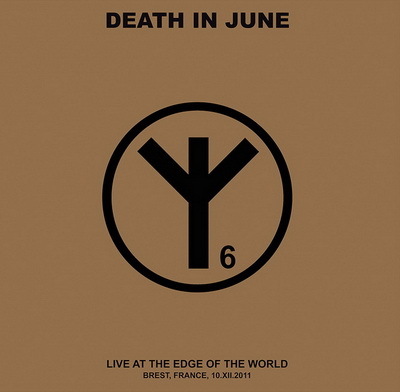 The CD includes the full setlist ; the 7” includes the encores and the “Melange” cut-up that was played as an intro to the concert (which was previously only available on the bonus CD of the first 100 copies of the initial 2013 2LP release). For this CD edition, the whole concert has been completely remixed and remastered from the original multitrack recording of the concert. It is a diﬀerent mix than on the 2LP. This page was last modified on 6 July 2018, at 10:29.